Piranha Games announced that the global server expansion for the popular online game, MechWarrior Online is complete with servers now online for greater Europe out of Strassbourg. Ping lag for players has been reduced in some areas by more than 75% with the average ping time reduced by 50%, a whopping margin for InnerSphere pilots who reside outside North America. Servers in the Oceanic part of the world are scheduled to be online early next month. 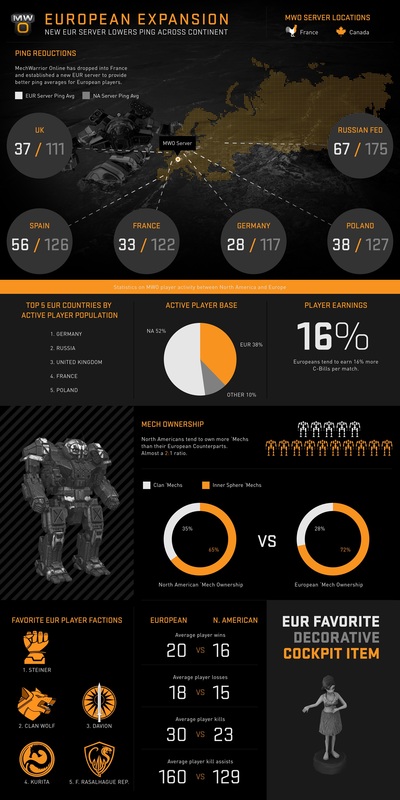 European pilots in MechWarrior Online make up almost 40 percent of the active players worldwide, with the slight majority of those pilots residing in Germany. 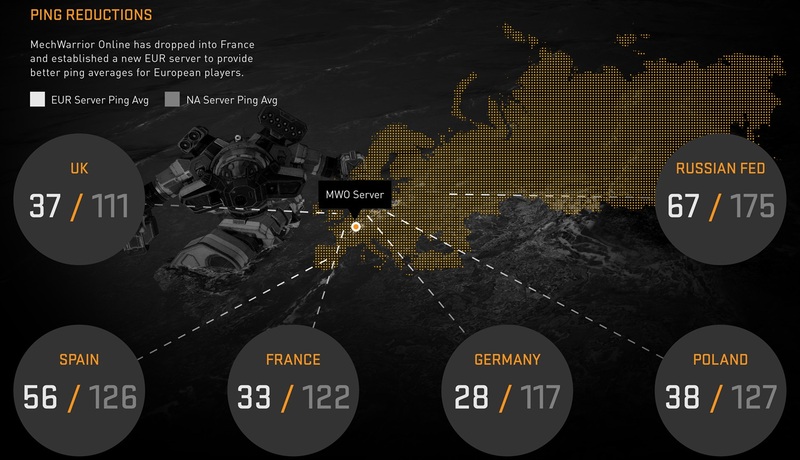 According to the most recent statistics, data shows that European pilots overall earn more XP and C-Bills than U.S. players and have a better win/loss and kill/death ratio. However, Americans lead Mech ownership by a whopping 2:1 ratio. 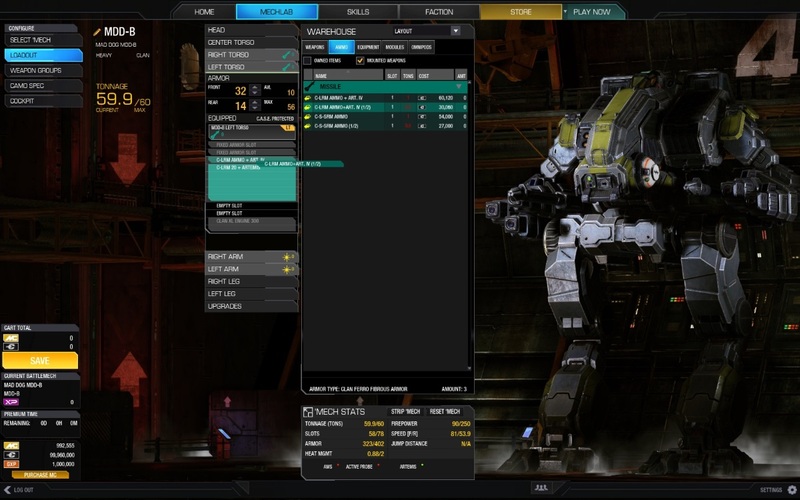 Of the dozens of Mechs available for purchase in-game, both North American and European territories prefer Inner Sphere Mechs to Clan Mechs, with the European territories boasting a ratio of 72% Inner Sphere Mechs to 28% Clan Mechs. The expansion of the server center was completed in just over two months by the dedicated team at Vancouver-based Piranha Games tasked with implementing the global, state-of-the-art network. MechWarrior Online is currently entering in its final phase of feature implementation, which includes tightening the competition for its core fan base on a global level by implementing the new server locations. 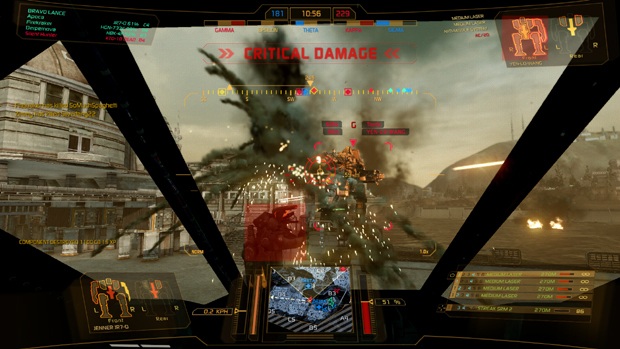 “The MechWarrior Online community has always been competitive by nature given the fundamentals of the MechWarrior gameplay, and now that we’ve added European servers a huge portion of our player base that lives in that region can experience MechWarrior Online at the highest competitive level,” said Russ Bullock, president of developer and publisher of Piranha Games.